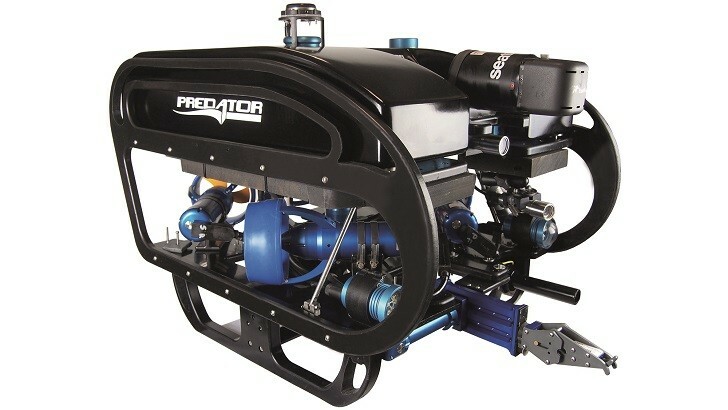 Seatronics is working with Inuktun to supply the Inuktun ROV Manipulator as a standardised option for the Seatronics Predator ROV Elite System. Seatronics is working with Inuktun to supply the Inuktun ROV Manipulator as a standardised option for the Seatronics Predator ROV Elite System. The Elite System was established and manufactured by Seatronics as a Bomb Squad Capable Improvised Explosive Device (IED) ROV specifically designed to operate within the military and defence industry. The Inuktun ROV Manipulator is a compact and powerful addition to the Predator Elite System with flexible interchangeable jaw sets and pressure compensated housing.